Creative work tends to be overlooked in the world of small business. Graphic design may be the first to be cut during financial times, mainly because small business owners are on a limited financial budget. However, there are numerous reasons that “cheaper” options for logos, web design, and marketing materials is not typically the best option. Even assuming that someone on staff has the talent and skill required for graphic design work, they most likely do not have the time to develop something with which everyone will be impressed. Here are six reasons that small businesses should make graphic design a priority for the success of their business. “You never get a second chance to make a first impression.” While some say this quote originated from Oscar Wilde and others claim it was first said by Will Rogers, the earliest evidence of this saying goes back to a 1966 ad slogan by Botany Suits. The marketing agency which created the line was certainly referring to the high-class suits being advertised, but inadvertently created a major first impression with the ad itself. Like most advertising, first impressions are essential to winning over potential customers. Whether it’s pleasing aesthetics of a web site or the meaning behind a company logo, it only takes a few seconds for a customer to judge a business based solely on visual appeal. We may say not to judge a book by its cover, but isn’t that exactly HOW one judges a book? High-quality graphic design ensures that those few seconds of judgment will lead to a deeper look into the company’s product or service. 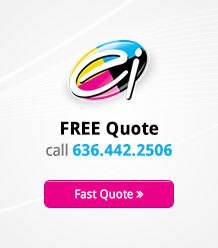 Professional graphic design gives a business credibility. Without it, people will click to another web site, exit out of the email, or walk past that store display. Building a brand is an important step for any business, and whether you are trying to or not, you are building your brand, or reputation. One of the key steps to establishing your brand is having a recognizable and consistent logo and identifier. Every piece of marketing that gets handled by the customers must present a solid design that is pleasing to the eye and memorable. A professional graphic design team can set the mood with exact colors, typeface, and imagery that fits – and represents – your brand. This way, no matter how your customers reach you, they will have the same experience, whether clicking through to your web site landing page, reading a brochure, opening an ezine, or holding a business card. That “something else” can be an aspect that’s unique and creative. Something that no one else in the industry has considered. Letting a graphic design firm join hands with your business is a smart way to enable your visual communication to stand out in the crowd. Good design is only useful if it effectively converts visitors into customers. Professional design firms understand the nuances of graphic design and how to not only make your products look nice, but also how to persuade customers to purchase them. A well-designed web site encourages clicks, be it signing up for a newsletter or purchasing an item. A flyer that is crafted effectively will entice passers-by to read and readers to take action. Each piece of advertising must precisely and purposefully flow towards the conversion of the potential customer. Similar to branding, a good design can express what your business is all about. For instance, a luxury item may use bold lines with a simple design while a company that wants to put forth a playful image may choose bright colors and a whimsical logo. Thoughtful design should paint a picture of a company or product, reminding individuals of not only the company name, but what it represents. 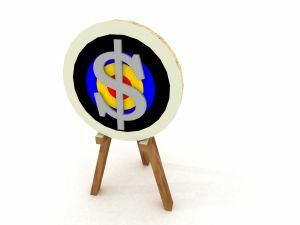 Sure, it costs to hire a professional graphic design firm; however, when it comes down to it, it’s a long-term savings. Companies that don’t make graphic design a priority from the start will, in most cases, eventually need to hire outside help. Paying for mediocre design numerous times adds up and can be detrimental to your brand name. Working together with a professional graphic design firm assures that your business will have a step up on success and a productive future.